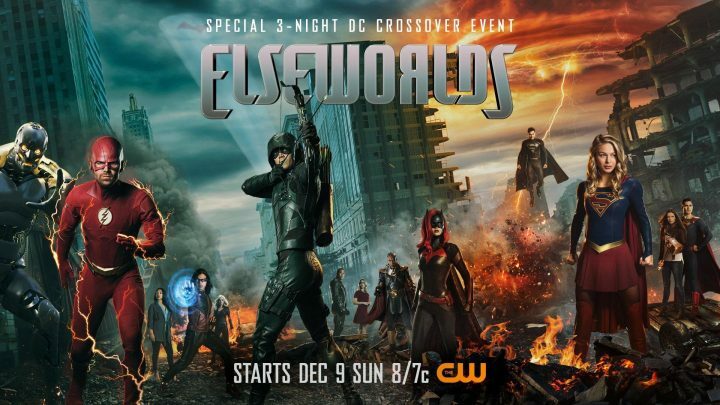 The CW has released a new banner and clip ahead of their 3 night DC crossover event Elseworlds which begins Sunday, December 9. Watch the clip below and take a look at the banner above! The clip features LaMonica Garrett (Designated Survivor) as the DC Comics character The Monitor, a.k.a. Mar Novu and actor John Wesley Shipp as 90s Flash. This story will also mark Ruby Rose’s debut as Kate Kane, a.k.a. Batwoman. While Kate is Bruce Wayne’s cousin in the DC Universe, the Batman isn’t expected to appear in this story or anywhere else in the Arrowverse any time soon. That said, Batman does exist in this world, and his absence will play a role in the storyline. Possibly explaining why Oliver Queen calling him out by name last season on Arrow.